I am happy to join you via video and send you my warmest congratulations on the opening of the CBBC's Fourth Annual China Business Conference. I wish you all great success in your discussions. Though physically I have to be in China on official business, I am with you in heart and mind. 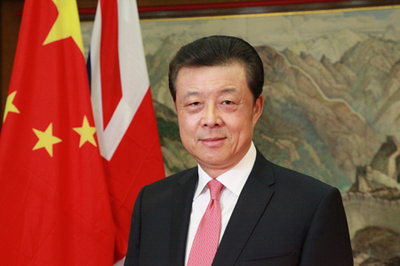 • It means China and the UK can coordinate our respective development strategies for win-win development. • It points up how timely it is to hold this China Business Conference. • China is running a most challenging course. • For China this is the last yet toughest mile leading to the goal of building a moderately prosperous society. • Despite the difficulties and challenges we are facing, the development potential and opportunities in China's economy remain huge and untapped. • The trend is turning for the better. • And the future of China's economy is promising. • We will press ahead with structural adjustment. • We will moderately expand overall demand. • We will enhance the supply side reform. • And we will shift to innovation-driven development from the resource-intensive or investment-led growth models. With these efforts, China will accelerate economic transition and upgrading. China will improve the economic structure, create new economic engines and build up new driving forces for growth. In 2016 the Chinese economy will progress steadily and show promising prospects. • You will see China grow into an even larger export market. • That means a more profitable investment destination. • Your technology and intellectual property rights will be better protected and generate increasing benefits. • You will enjoy greater opening-up in China's service sector. • These areas include finance, healthcare, culture, telecommunication, and commercial logistics. • You will see further reform of the foreign investment regulation. • This will happen with enhancement of the four 'Free Trade Zones' that have been set up as test fields. • Here in the UK, you will see more Chinese tourists coming. • That flow will create greater business opportunities for UK tourism and retail sectors. • You will see more Chinese companies coming for investment. • That will result in setting up branches and regional headquarters. • You will see Chinese business bringing here both capital and job opportunities. • This will happen in areas ranging from finance to manufacturing, from infrastructure to creative industry and communication technologies. • You will see the growth of the off-shore RMB business in the UK. • And the result will be a stronger role of London as a global financial centre. • I look forward to the CBBC playing the role of a crucial bridge, linking China and the UK even closer. • The CBBC can assist China-UK business cooperation going ever deeper. • And the CBBC can make further contribution to the "Golden Era" between our two countries. I wish CBBC members, and every one present today, happiness, prosperity and good health in the Year of the Monkey! Finally, I wish your conference a complete success!